We were working on a farm near Berryville this past spring. Richard, our foreman, pointed to a rock outcropping and said “check this out!”. 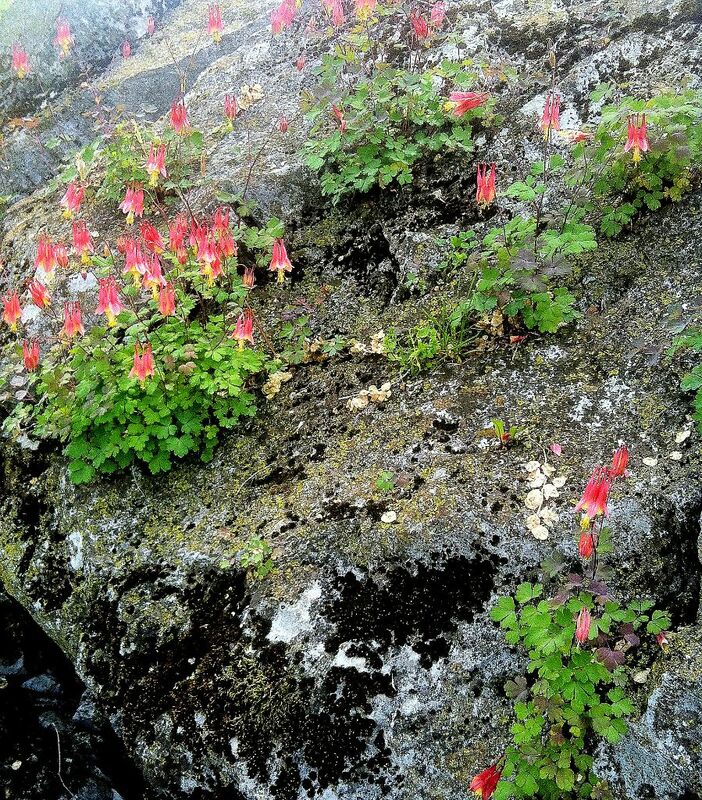 What we were looking at were Wild Columbine growing out of the cracks on the north side of these boulders and they were in full bloom (see photo). 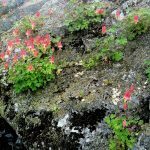 I’ve come across the native plants growing in other tough spots – cracks in walkway, stone walls – but on a surface of a boulder showed how truly rugged they are. Once they find their happy place, they will self sow in the areas around it. Their leaves resemble clover, so be careful not to inadvertently pull them out when they’re not blooming. Suggested uses: Wooded sites, native shade gardens, along woodland pathways and trails.